My husband is from southern New Jersey so I can speak authoritatively on the topic of Philly cheesesteaks. I never had a cheesesteak until we started dating and, being that I was a vegetarian for years, this meat and cheese concoction cooked on a really dirty looking grill definitely made me hesitate. But we do a lot of things for love, don’t we? And so I became a cheesesteak connoisseur. Regular cheesesteaks, chicken cheesesteaks, I ate them all and tried to find my favorite up and down the Jersey shore. We are far from the Jersey shore these days and I hadn’t thought about making a cheesesteak in ages so this meal was extra delicious. The Visit Philly website describes a Philly Cheesesteak as a long, crusty roll filled with thinly sliced sautéed ribeye beef and melted cheese. The cheese is usually provolone or American or, in extreme circumstances, Chees Whiz, apparently. 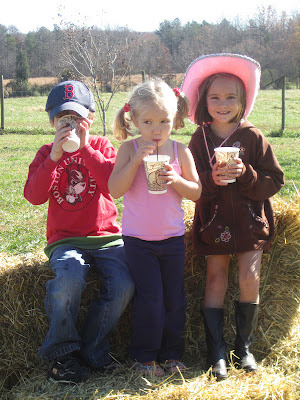 Far, far from the land of Cheez Whiz, we took our kiddos to Proffitt Family Farm in Kings Mountain, NC a few months ago. It was absolutely beautiful out there. The kids fished and checked on the cows and horses and got a great lesson on chickens from a very knowledgeable future farmer. We love to get our grass-fed beef from this farm – it always tastes so good – but usually we pick it up at our farmers market, not directly from the source. That afternoon, we had the luxury of browsing their immense freezers and we came across something called “minute steaks.” My husband and I looked at each other instantly – these little guys were perfect for cheesesteaks! These minute steaks were small pieces of thinly sliced beef – if you are a child of the processed food of the 80s, picture a slightly thicker version of steak-ums. I didn’t plan on serving these cheesesteaks on crusty sub rolls this time around so I found a better vehicle … sauteed collard greens! Talk about a north-south mash-up. This combination was delicious. The kids and adults devoured this meal and begged for more. 1. Minute steaks just a few minutes to cook. I sliced my minute steaks into thin strips and cooked them with the onion in a little bit of olive oil and salt in a very hot skillet until they were done. 2. Add the shredded cheese or slices of cheese to the top of the cooked steak or chicken. 3. Meanwhile, saute the collard greens and garlic in a little bit of olive oil and salt over medium to medium low heat. Don’t overcook them – you want them to retain their bright green color. 4. Serve your Philly cheesesteak over your collard greens. Enjoy! A few notes … I had a leftover chicken breast in the fridge so I sliced that up and made some regular cheesesteaks with the “minute steaks” from Proffitt Farms and some chicken cheesesteaks with the leftover chicken. They were both delicious! This recipe caught my attention – I’m from South Jersey too! I need to get my hands on some of those minute steaks to try this one asap. I look forward to trying more greens with this recipe (never had collard or mustard greens). Thank you, Erin! Thanks, Dana! 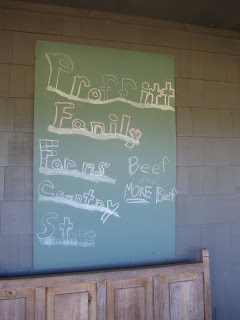 Definitely pick up some minute steaks – you can email Shelley ahead of time at shelleyeagan @ proffittfarms.com – and she can bring your minute steaks to the Yorkmount Farmers Market. Definitely give this a try! As for greens … so easy, inexpensive, local, good for you! Thanks, Kelly! Glad you like it. I loved seeing the tropical tarlets recipe posted on your blog today … it really is almost summer, isn’t it?